This exciting event is scheduled to happen at HortResearch on November 24 th. It’s an all day event which promises to be educational and enjoyable. The top quality food alone is worth the attendance!! This was the topic of recent controversy on Channel 7 in Australia recently. Dr Beaumont, an opthamologist drew an unsubstantiated correlation between this disease and the consumption of vegetable oils.The CSIRO were quick to put out a statement opposing this unscientific conclusion. Age-related macular degeneration (ARMD) is a degenerative condition of the macula (the central retina). It is the most common cause of vision loss in the United States in those 50 or older, and its prevalence increases with age. AMD is caused by hardening of the arteries that nourish the retina. This deprives the sensitive retinal tissue of oxygen and nutrients that it needs to function and thrive. As a result, the central vision deteriorates. There is a strong and logical theory that natural antioxidants such as lutein,carotenoids and polyphenols and anthocyanins will protect the macula from oxidative damage. Conclusion is to eat lots of fruit and vegetables and to partake of natural oils such as EV olive oil of good quality which retains the natural level of polyphenols. Again media controversy on the subject of oils and fats. 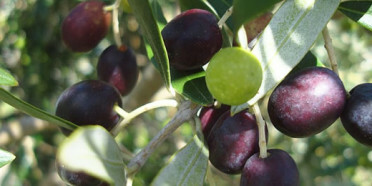 The media on both sides of the Tasman misquoted an Australian scientist who wants to monitor imported Olive oil quality. This author has no doubt that there is some not quite genuine EV products coming into Australasia but it is premature to make statements without doing the analyses by independent laboratories. In New Zealand, Consumer Institute spokeswoman Belinda Allan said any manufacturer who attempted to mislead or deceive consumers is breaching the Fair Trading Act and runs the risk of being discovered by the Commerce Commission. But if manufacturers blatantly lied about the ingredients in their products, the consumer had no way of knowing and tests would need to be done to prove the listed ingredients do not match up with the content. Codex Alimentarius has issued a discussion paper on the definitions for Trans fatty acids. This column has run several articles in the past on this topic explaining the types and quantities to be found in the Australasian food supply as distinct from the USA or EU and the situation is markedly different. The key fatty acids to label on the nutritional packaging are the trans monoenes which arise from the chemical hydrogenation of polyunsaturated oils such as soya , canola and fish. These type of hydrogenated fats traditionally formed the basis for shortenings and bakery products in the USA and EU. This picture is changing with Denmark being particularly aggressive about removing them as far as possible from the food chain. “Trans fat is defined as the trans fatty acids with non-conjugated double bonds ( partially hydrogenated oils); Conjugated linoleic acid and other conjugated fatty acids (naturally occurring in meat and dairy products) would be excluded from the definition of trans fat. This proposed definition for trans-fat takes into account the fact that the identification of trans-fatty acids is based on the actual chemical structures of the fatty acids i.e. good capillary columns can separate and make identifiable the key isomers in a hydrogenated sample.